Chinese Tones - How Important Is It To Get Them Right? When learning Chinese, mastering tones is of great importance if you want to become proficient in the language. Some argue that they are not that important, especially for a beginner, because, they say, most local Chinese speakers expect foreigners to get it wrong a lot of the time and they will , by and large, grasp what you are trying to say anyway. However, if the person you’re talking to can’t guess what you want to say, communication will rapidly break down if your tones are even slightly off, which can lead to misunderstandings and frustration for everyone involved in the conversation. Get the tone wrong and you could end up telling a child that you will mother them if they don’t stop misbeahving in class. Slightly embarrassing for a teacher? Or how about in a job interview when you are asked who the most inspirational and inflluential person has been in your life and you start waxing lyrical about your incredible horse, who was not only a brilliant mother but also a very successful business woman. 吻 (wěn) means kiss, whereas 问 (wèn) means ask. 1. Can I just ask you, John, what time are you leaving the office today? 2. Can I just kiss you, John? What time are you leaving the office today? 水饺 – shuǐ jiǎo, meaning, dumplings. 睡觉 – shuì jiào, meaning, sleep. 1. xiǎo jie, shuǐ (三声) jiǎo (三声) yī wǎn duō shao qián? Miss, how much is a bowl of dumplings? 2. xiǎo jie, shuì (四声) jiào (四声) yī wǎn duō shao qián? Miss (insinuating prostitute) – how much is it to sleep with you (one night)? 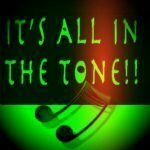 Don’t you think it might be worth getting those tones perfect, right from the outset? Of course, English speakers don’t enunciate perfectly at all times and the same can be said for native Chinese speakers; they don’t enunciate every single tone very perfectly every time they say something. However, that does not mean that you should buy into the belief that tones are not important. They are, especially as you move forward and want to start putting your ideas and opinions across clearly and concisely. Start perfecting those Chinese tones from the outset and in the long run the extra effort really will payoff! For a much better insight into the importance of tones read this excellent article by Olle Linge at Hacking Chinese. Thanks Eduardo, we have sent you the information you require via Email. I believe we should also write about the neutral tone as this is equally important. I am hearing a lot of neutral tones pronounced with a tone and it is really terrible to hear. and not ji4de2 as pronounced by too many people including radio jockeys.